1) There is a burgeoning school of professional Cuba bashers, including some self-proclaimed leftists, who in effect seek the overthrow of the Cuban Revolution. Apparently expecting perfection, they tend to see ONLY the failures of the Cuban Revolution and its historical leaders. 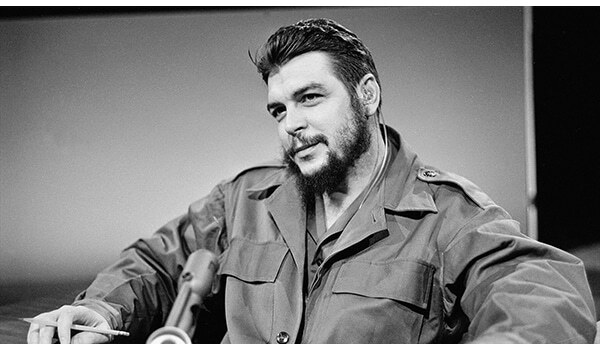 In so doing, they distort the truth beyond recognition and base their arguments on such outright lies as describing Che as “an ardent Stalinist” wedded to “authoritarian ways,” or the Committees for the Defense of the Revolution (CDRs) as “spying on and controlling people,” when in reality they were and continue to be key institutions of the evolving and by no means perfect participatory socialist democracy the young revolutionaries (Fidel age 33, Che age 31) set about trying to establish in 1959 in the face of ongoing U.S. aggression abetted by diehard supporters of the overthrown Batista dictatorship — and now, 58 years later, by maintenance of the economic blockade, control over Guantánamo, acts of terrorism, military threat, a sophisticated cultural offensive, and the budgeting of “dissidents” (mercenaries), CIA agents, and NGOs inside Cuba, not to mention the mendacious slanders spewed forth by the mass media of disinformation, including some of the social media.